A beautiful and historic theatre in the heart of Los Angeles’ Westlake district, Dynasty Typewriter at The Hayworth is a great venue for hosting all manners and sizes of private events. Our experienced team is dedicated to making sure your event happens without a hitch. The types of events we can facilitate include holiday parties, film wraps, award ceremonies, round tables, weddings, fashion shows, birthday parties, anniversaries, corporate events, galas, fundraisers, film screenings, and more. Our venue seats 196. To see seating out full seating chart <click here>. 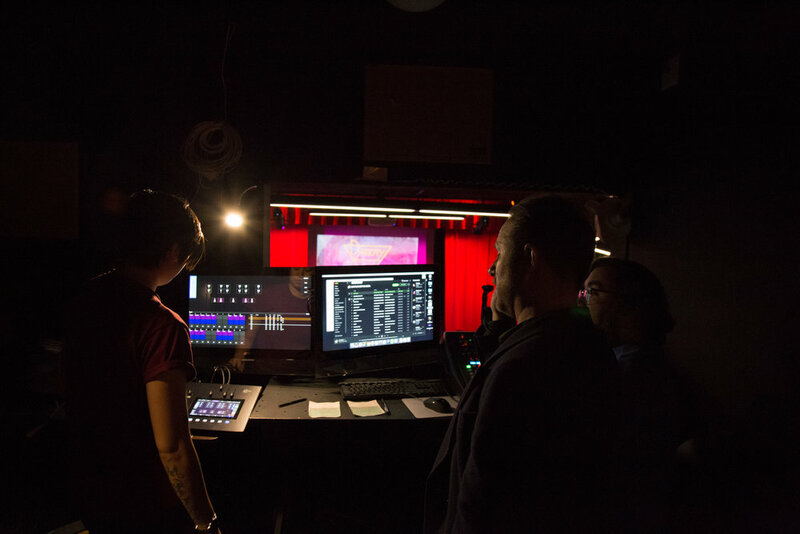 We have a full in-house tech set-up, including digital projectors and full lights and sound capabilities. To inquire about renting the venue and additional venue specs, please fill out the following forms to the best of your ability. Please note, due to the level of inquiries we receive, submissions without sufficient information may not get replied to. Do you need a date immediately or are you do you have a specific date in mind? Submissions will not be considered without an estimation. Please describe how long you anticipate using the space. Is this a day shoot? a night shoot? Multiple days? Submissions will not be considered without an estimation. Please note. If this field is left blank, we may not be able to review. If You are selling tickets for the event, what will the price range be?